The recession might be behind us, yet companies and individuals alike are watching their money better than ever before. It is common knowledge that the first two budget cuts a company will make under financial pressure are marketing and training. It is no coincidence that trade shows are exactly that, marketing and training. When you consider the cost of exhibit space, payroll, flights etc., the cost of participating in a trade show can quickly become enormous. With the opportunity of great success, many companies spend their entire year’s marketing budget on exhibiting at just one trade show. 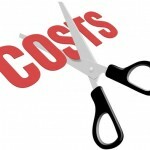 In today’s article we’ll discuss some ways to control your costs while exhibiting at a trade show. Gone are the days when you could exhibit at a trade show with only a banner and a table for brochures. Today’s trade shows demand exquisitely designed booths, booths that can cost tens of thousands of dollars to design and construct. If your company only plans to attend one or two shows annually, renting a pre-constructed trade show booth is a great option. You’ll pay a fraction of the cost to build if you rent. The only additional investment you’ll need to make is customized signage. You’ll also be free of many associated costs including long term storage, shipping fees and insurance. Also, if your company is located a significant distance from where the trade show will be, consider renting a booth from a company local to the show, not local to your business. If you’re company plans to exhibit at more than one show per year, it might be in your best interest to invest in a pre-owned booth. Large corporations often use a booth a handful of times and then sell them back to the company who built them. The trade show booth company in turn sells these booths at a fraction of the original cost. Trade show booth companies will charge you a nominal fee to remove prior branding and replace with yours. A quick internet search will display many trade show booth companies that specialize in pre-owned booths. Travel expenses can add up very quickly. Flights, hotels, meals and taxis for more than two or three people can easily consume an entire budget. It may not always be necessary to fly your entire team to a trade show. If you’re looking to control staffing costs, consider contracting with a staffing or modeling agency local to where your trade show will be. Many of these companies have rosters of people who specialize in sales and promotions for all types of marketing events. In this scenario, you’ll need to consider a training session before the launch of the show. It’s important that your temporary staff can speak to your product and represent your company well.